Hiroshi Nakamura was born in 1965 in Shiga, near Kyoto, the old capital of Japan. He received private tuition in music from Eiichi Tada and Akira Miyoshi in Tokyo. Since then, he has studied under a selection of world-class musicians at Akiyoshidai Music Seminar (Yamaguchi, Japan, 1995-98). Hiroshi has taken part in a number of composition competitions worldwide, including The Kazimierz Serocki 10th International Composer's Competition, ISCM Polish Section 2006, Concorso Internazionale di Composizione Settimane Musicali di Stresa 2007, and the 5th International Prokofiev Competition 2008. His pieces have been performed by the Polish Radio Orchestra, Swedish Radio Symphony Orchestra, and at SNG Opera and Balet Ljubljana, among others. 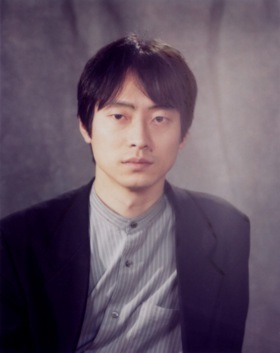 Hiroshi holds an MA in Philosophy at Nihon University, Tokyo where he is currently a lecturer in Musicology.